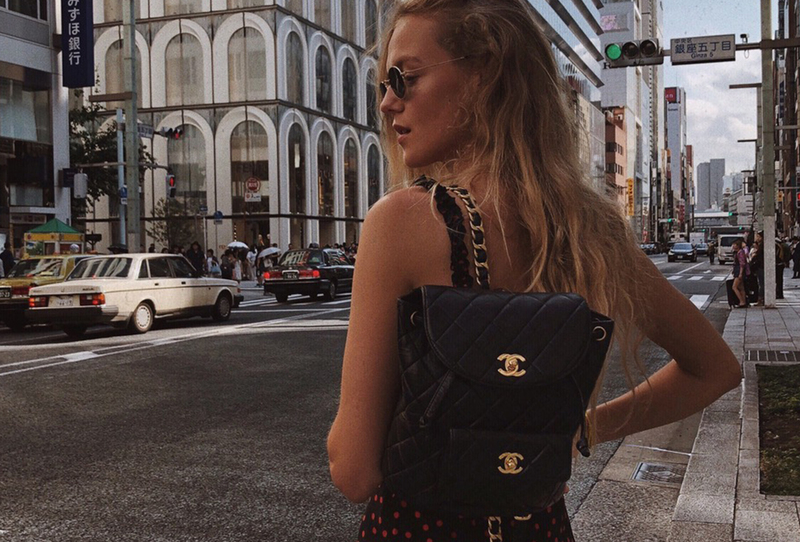 MARIE VON BEHRENS TRAVELS WITH CHANEL IN TOKYO! 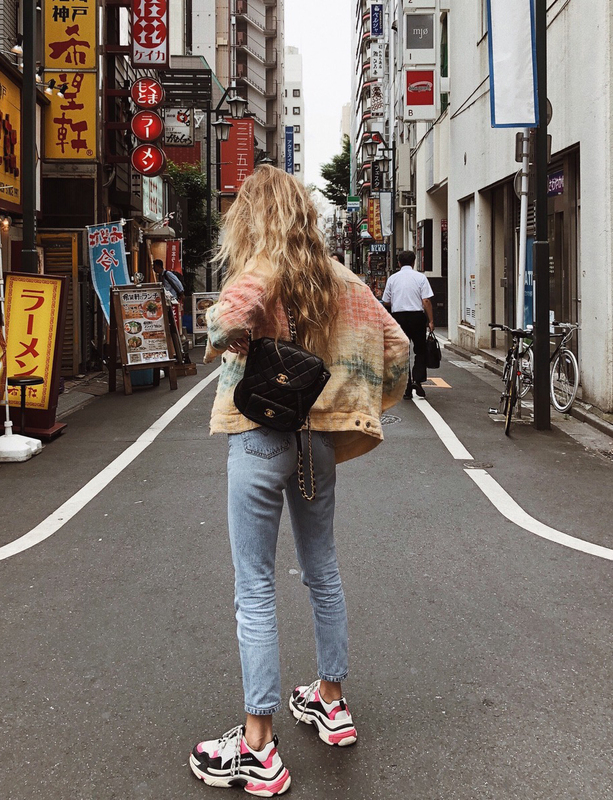 Marie von Behrens recently found her vintage Chanel backpack on rebelle.com The rucksack is now her most treasured travel companion and there was no way that she wouldn’t be taking it with her on her trip to Tokyo. Find out what the fashion influencer has to say about her experience in the Japanese mega city in our interview! Why are you currently in Tokyo? I’ve always wanted to go to Tokyo and my boyfriend and I decided that we would go together back in January. What brands are trending in Tokyo right now? Off-white, Balenciaga and Supreme are bang on-trend right now. Vintage pieces and vintage-style Converse are also hip. What do you find most fascinating about Japanese culture? How unbelievably traditional everything is! The Japanese culture is totally different from everything I have ever seen and experienced. It’s incredibly interesting. There are so many beliefs and traditions that are so different from ours. They are totally fascinating. The people there are so friendly and attentive and make a real effort to make sure you have an unforgettable time. What essentials do you always carry in your backpack? I always have my phone, wallet, sunglasses, lip balm and my keys on me. I also carry my analogue camera and a bottle of water with me in my backpack... ideal for travelling. How do you style your vintage Chanel backpack? To be honest, I wear the backpack with everything: I wore it with a dress and high heels to a dinner and then also with a pair of shorts, a vintage shirt and trainers out and about during the day. It goes with my whole wardrobe and that’s why it is my new absolute favourite item. Have you already bought your souvenirs? What did you buy? 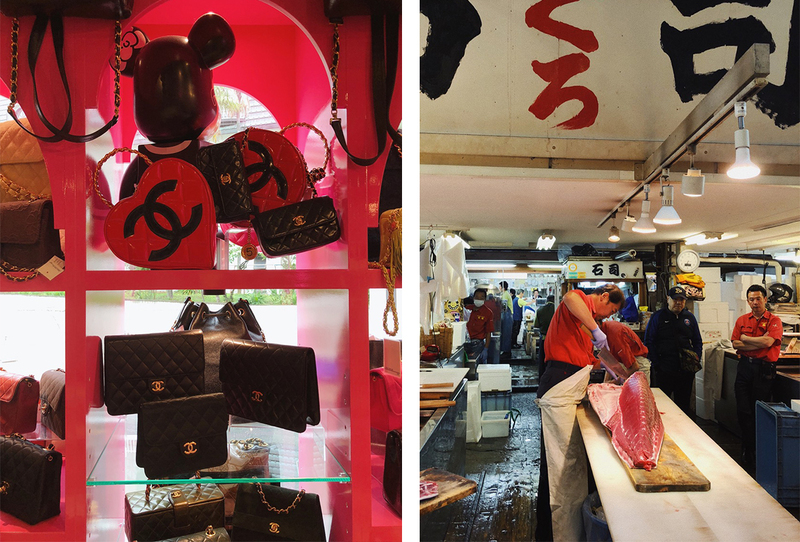 Have you discovered any exciting vintage stores in Tokyo? Vintage stores are ten a penny in Tokyo. “Amore Vintage” was heaven on earth, as they only stock vintage Chanel items. From bags and belts to cushions and tennis rackets. For T-shirts and jewellery, I would recommend going to “Long Beach” and the “Flamingo Store” in Omotesando. What are your three Tokyo hotspots? The Tsukiji fish market: We ate fresh tuna sashimi at 5 am in the morning there and it was one of the best experiences I’ve ever had! Dakajama district: There are so many unbelievably nice shops there and the architecture is refreshingly different. The Meiji Shrine and park: It’s right in the heart of city and is just beautiful. It’s the perfect place to escape the hustle and bustle of the city. What’s been the highlight of your trip so far? A blazing red sunset that we were able to catch from a small island in the west. It was definitely the most stunning sunset I’ve ever seen! Can you sum up your trip for us and give us any tips, perhaps? To go back and spend more time there... there is still so much to see!